Do you ever wonder what happens in meditation for other people, or if you are even doing it right? Well, I have. Sometimes I wonder why no one has ever written about the meditation experience to give people a clearer understanding of what happens or should happen during meditation. Well after so many years of meditating, you would think that I could write with some authority on the subject. But the truth is I cannot. And I think the reason being that meditation is an extremely personal experience. Perhaps the most personal experience a human being can have. That said, I do think I can share some of my experiences and perhaps have it be of benefit to some of you. While observing a person meditating, it would appear that they are filled with peace and tranquility. The body is still, the breathing appears relaxed and at ease. But this can be a facade of what is actually transpiring inside the mind. 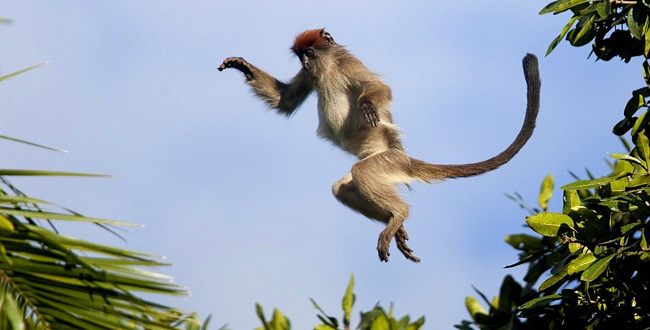 The term “monkey mind” is used to exemplify the jumping around of the mind from thought to thought like a monkey jumping from branch to branch. And yes, I almost always experience “monkey mind” in my practice. Even at the beginning of my meditation when I am doing my Metta (loving kindness), I often observe the mind jumping to every random thought you could imagine. But loving kindness is a wonderful way to begin meditation because it gives you a focus of your attention. Also, by beginning with love and compassion toward yourself, you can begin to soften yourself and gain the initial phase of acceptance and mindfulness. Then, as you spread this out towards others, your attention becomes more focused and clear. Breathing in lovingly, breathing out lovingly. One might assume that after ten minutes of sending all this love to the World that you would be peaceful and at ease. But no, that monkey is still in your mind and he likes to play! And as I gently move into Vipassana meditation, focusing on the breath, thoughts and physical sensations rise and fall by the moment. And it is so very easy to attach to any one of these and be carried away. A simple sensation of tightness in the chest can take my mind off into investigation of the root of this feeling. Questioning why I am nervous or concerned, if something is causing me anxiety or dread. I must figure it out, right? Wrong! Meditation is not about figuring anything out, fixing any problems, praying for solutions, or getting the mysteries of the Universe revealed. Meditation is to sit down and shut up! I don’t mean that to sound hostile, but truly we just need to allow ourselves the time for nothing. Every minute of every day, our mind is occupied with racing thoughts and emotions. Things we need to do, friends who are in need or sick, thoughts of loved ones we’ve lost, etc. etc. But how wonderful that there is a vehicle for us to stop jumping from tree to tree and simply be. To just breathe, one breath at a time. One inhale, one exhale. No past moment or future moment, just this inhale, then just this exhale. If I have learned anything about meditation, it is to not fight or wrestle with this “monkey mind”. Just watch him jump around and let him do his thing while I return to my breath. Do not try to push these thoughts or feelings away, but do not cling to them either. They are what they are, and all are impermanent. Be kind and gentle with yourself, and do not set expectations. Be a blessing to yourself, and be your own best friend. Sitting with unconditional love and acceptance for yourself, and keeping immeasurable patience and compassion. This is how I see meditation, and I hope it may be of some help to you.